Spa house Erika is situated in the front of main spa park, a few meters from promenade of Františkovy Lázně. Our medical facility disposes of approximately 98 beds. Procedures – spa guests attend all of the spa procedures direct in the spa house. 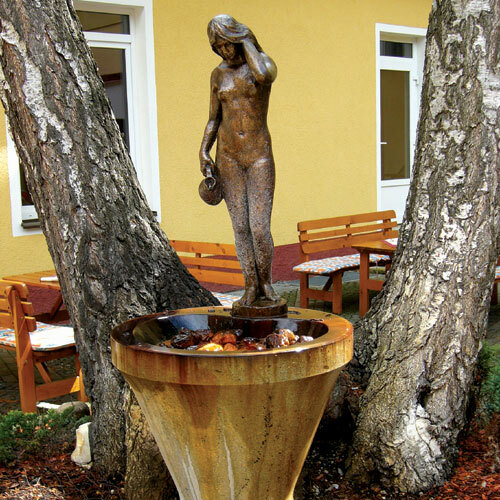 The house owns medical mineral water „Erika“ (the water is avowed by Czech state like natural medical resource), which is used for mineral baths and drinking procedures. 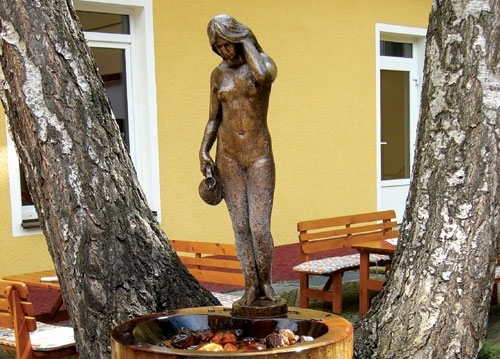 The composition of mineral spring „Erika“ is similar to medical mineral waters of Karlovy Vary and is recommended for healing of stomach ulcerations, for healing of inflammation and for post-operative healing of stomach tract. 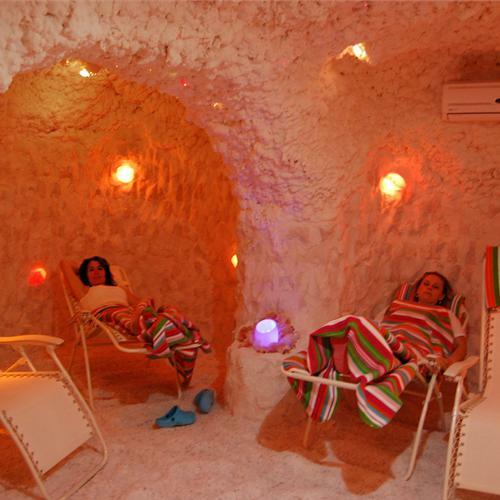 Spa house Erika uses for healing natural resources. 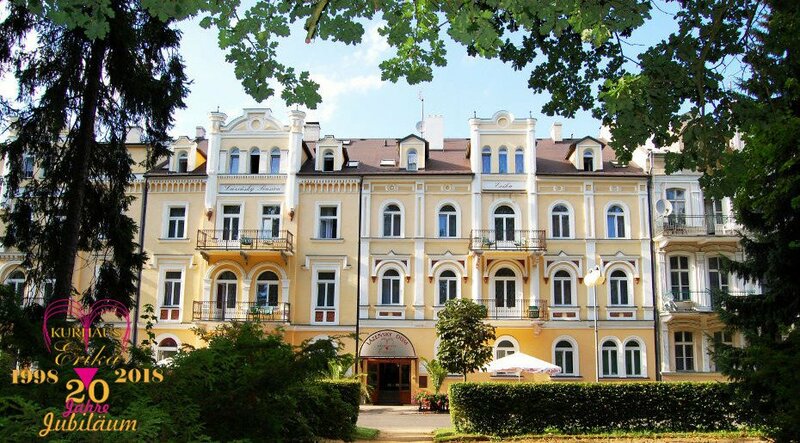 Swimming pool in our house is very nice and with the area of 125m² one of the biggest of Františkovy Lázně. The pool is equipped with whirlpool-, massage- and against – jet – programme. Hotel rooms are equipped with bathroom, shower, toilette, phone, SAT-TV, safe, hairdryer and small fridge. Restaurant – breakfast is served in buffet-form (cold continental meals and warm dishes). For lunch the spa guests can choose between 2 menus (soup, main dish, dessert or fruit). 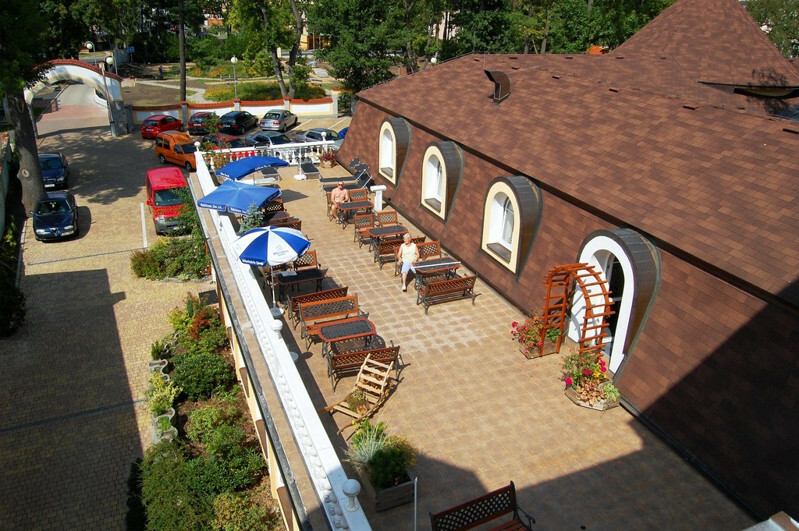 Dinner is served in buffet-form (rich choice of warm and cold meals, international and czech cuisine specialities). The guests can choose diabetic-, reduction-, vegetarian-, gluten-free-, lactose-free-diet-dishes. Comfort – in the house is situated reception, restaurant, café, fitness centre, swimming pool with water temperature of 30°C, sauna with small mineral water pool, salt cave, infra cabine, recreation room with W-Lan (free internet access), sunbath-terrace, cafe - coffee bar, cake-shop - confectionary, 2x lift, Erika mineral water drinking point, every Wednesday dance – evening. 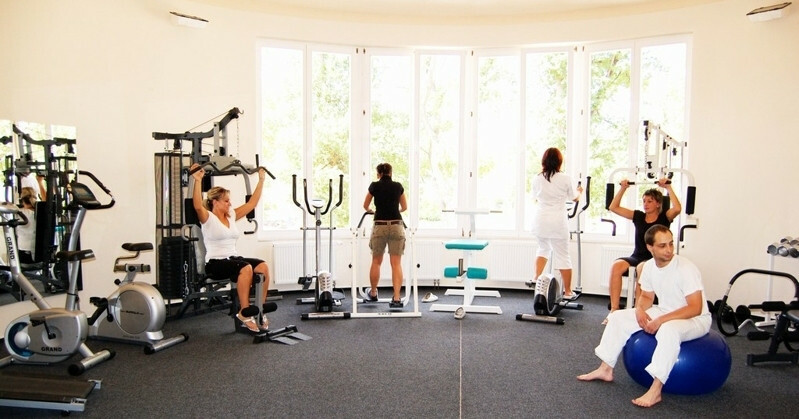 Service – car parking for free in the house backyard, for spa guests free rent of bikes, Nordic – Walking sticks, bathrobes, safe. Our house guests can also play tennis in our tennis court, minigolf or pétanque for free of charge. Your spa – in the family atmosphere of Spa house Erika takes care of You our medical doctor, all procedures You attend direct in our house in the new extended medical department. In the spa house Erika is 24h medical care ensured. Exterior (outdoor), outdoor restaurant (garden restaurant), entrance hall - lobby, reception, restaurant, coffee bar (café) and dance floor with live band.